Follow in the footsteps of your favorite wizards and head off to school with your very own Harry Potter Hogwarts Backpack. Fill it with books of spells and potions and take a little bit of magic with you everywhere you go. 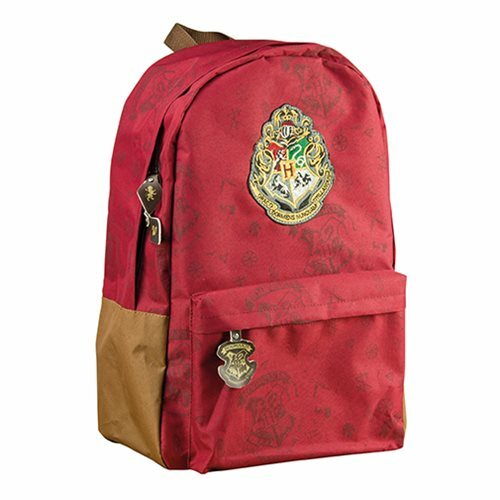 This wonderful nylon backpack is in the Hogwarts colors and features an embroidered Hogwarts Crest. An amazing gift for Harry Potter fans, this bag has PVC backing, metal zip pulls and measures about 16 1/2-inches tall.